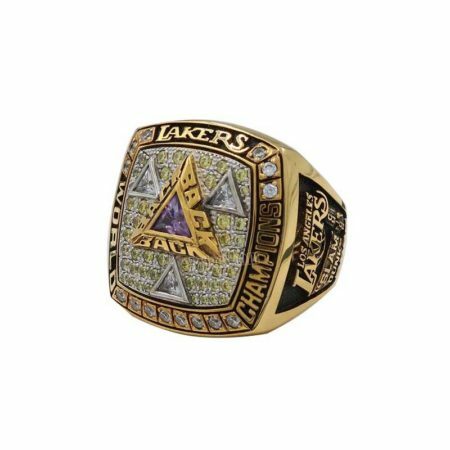 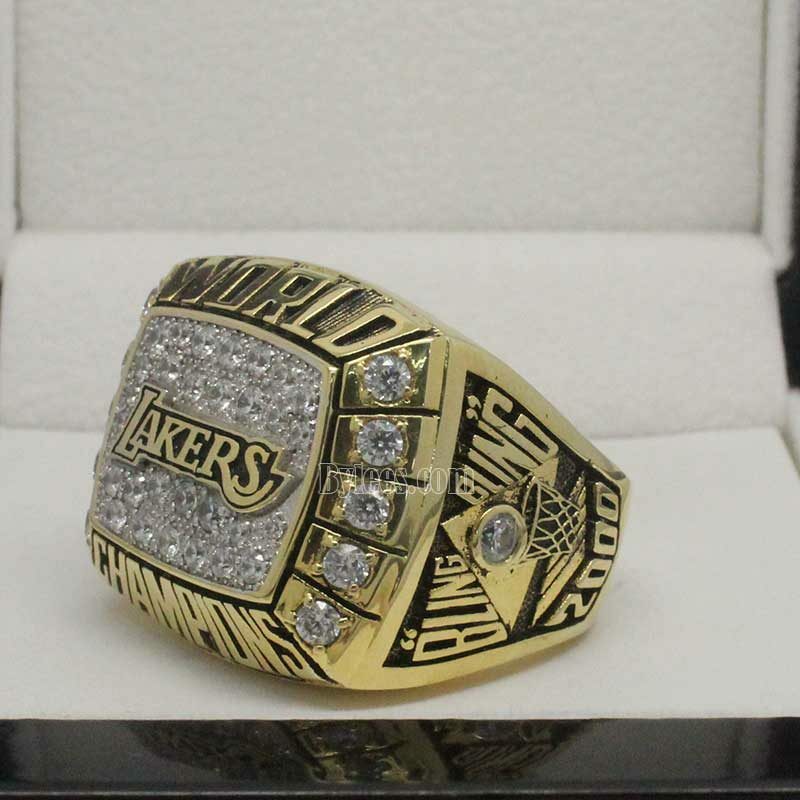 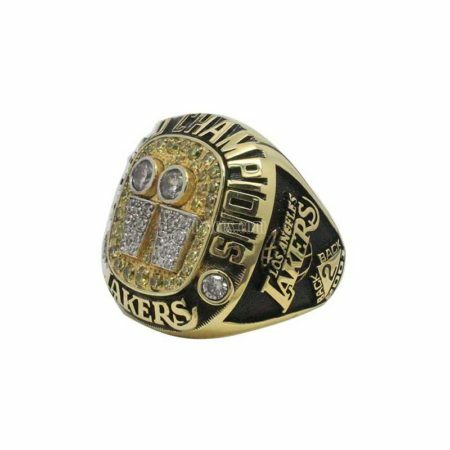 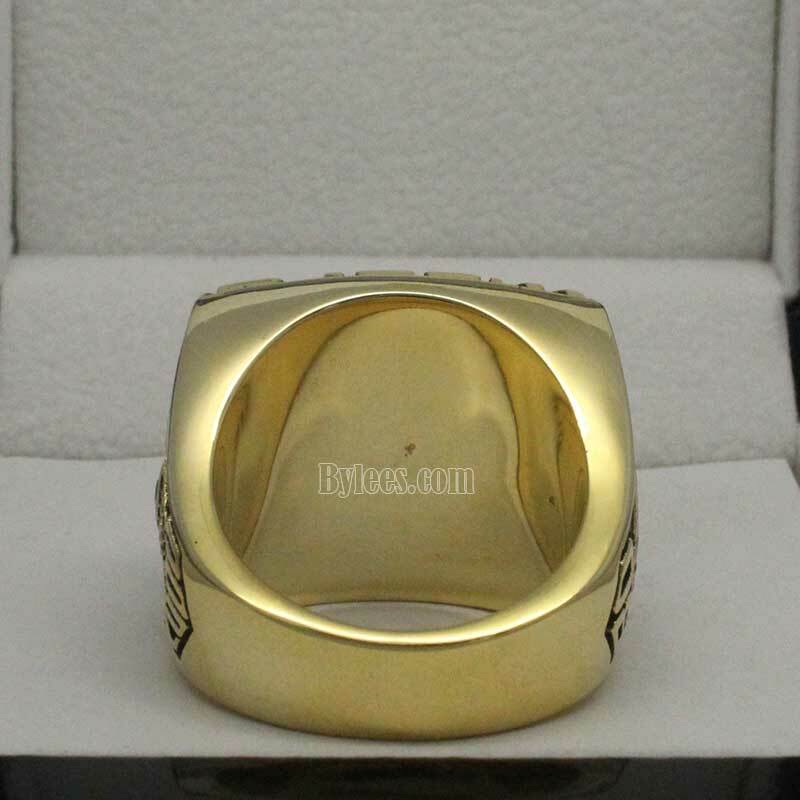 2000 Los Angeles Lakers NBA Championship Ring commemorated the Lakers’ champion title in 2000 the NBA finals playoff. 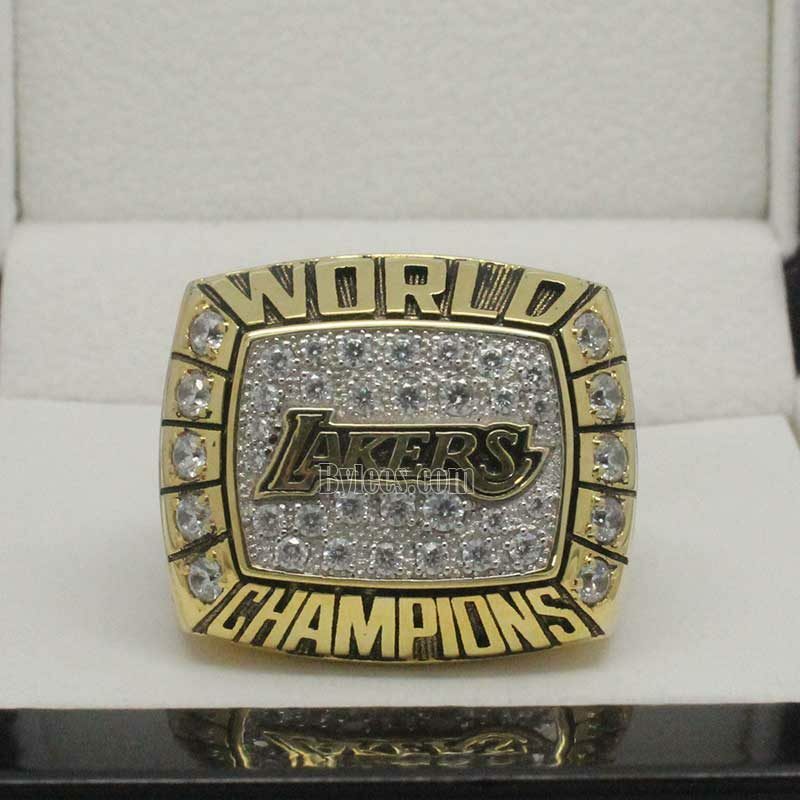 In this season, Lakers center Shaquille O’Neal and Kobe led the team to win the 2000 NBA championship ring, O’Neal was named the NBA Finals MVP of the series and got his first championship ring with Lakers. 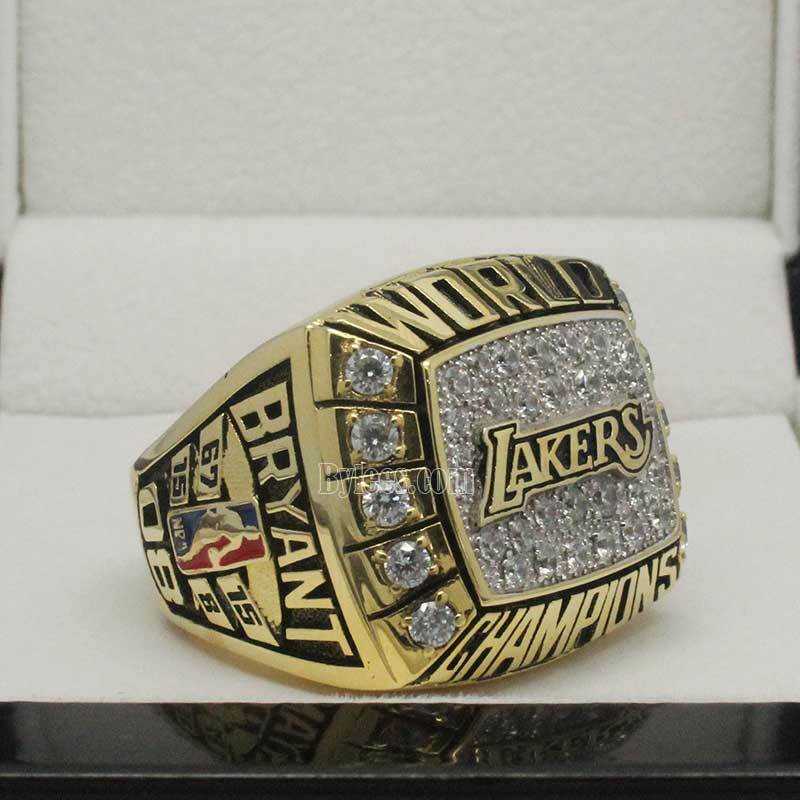 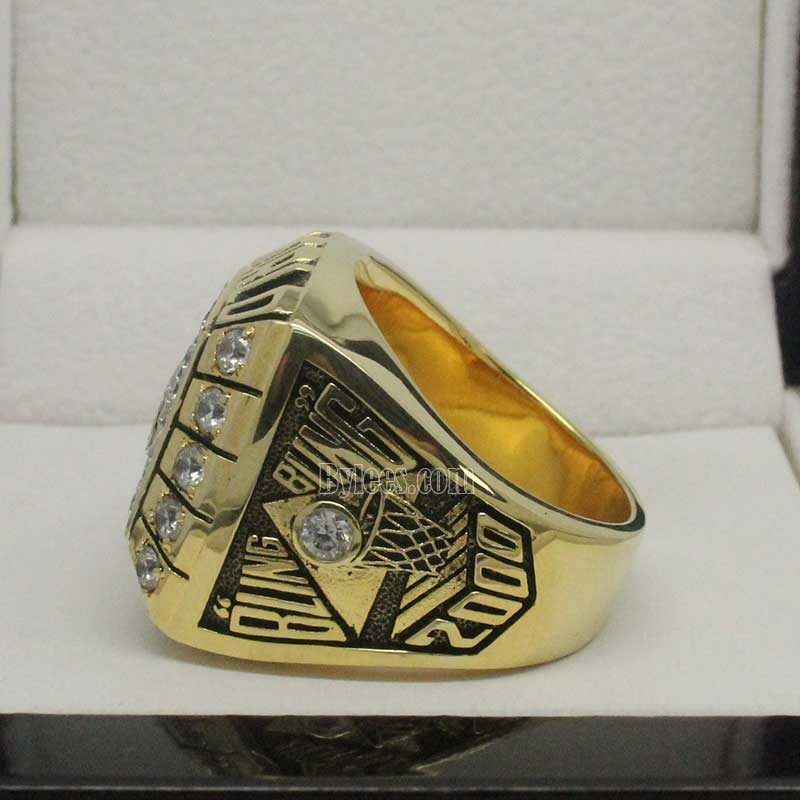 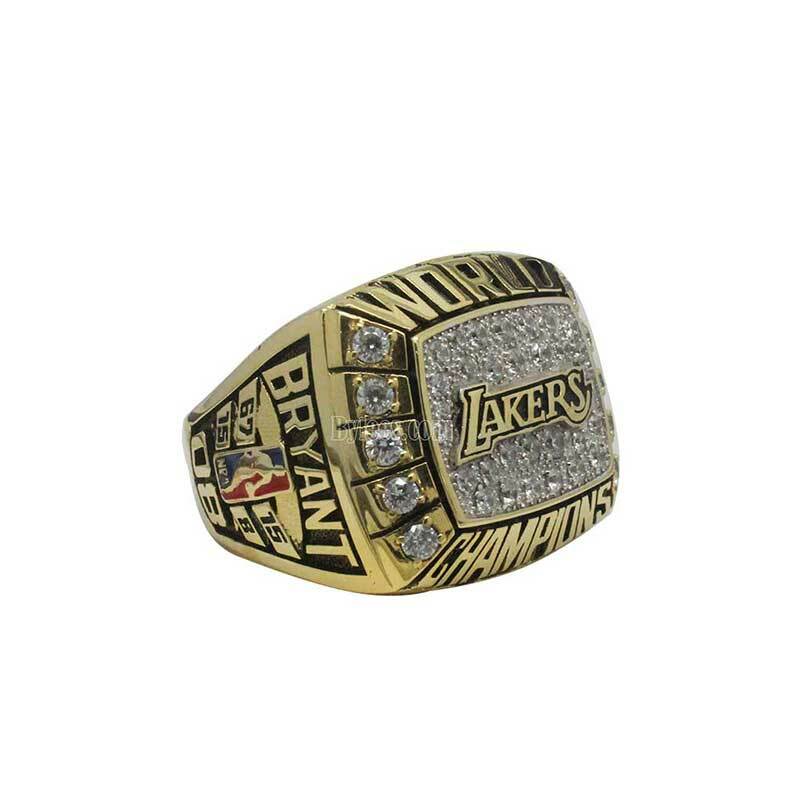 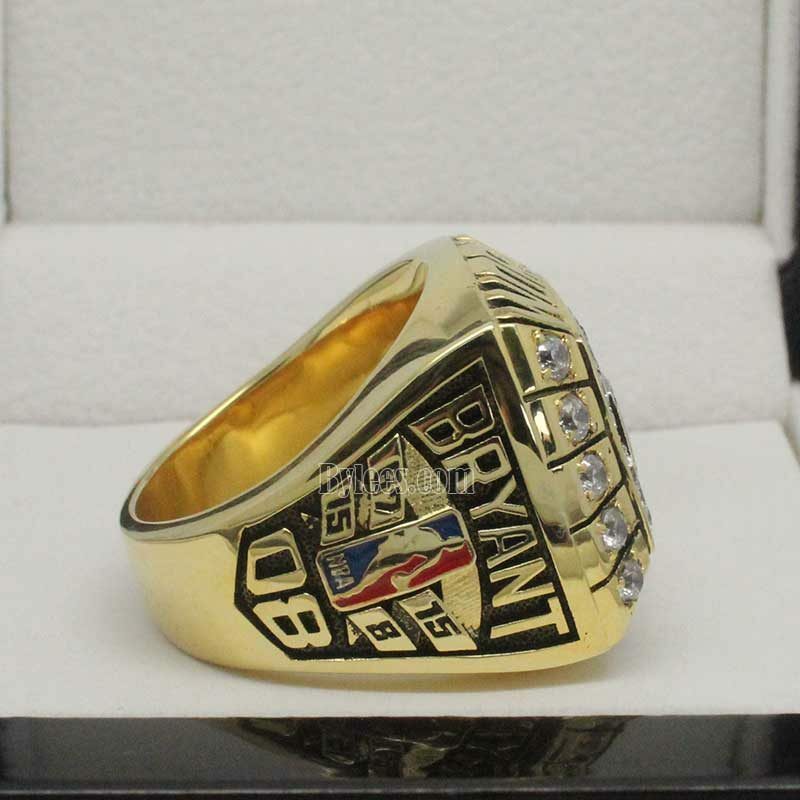 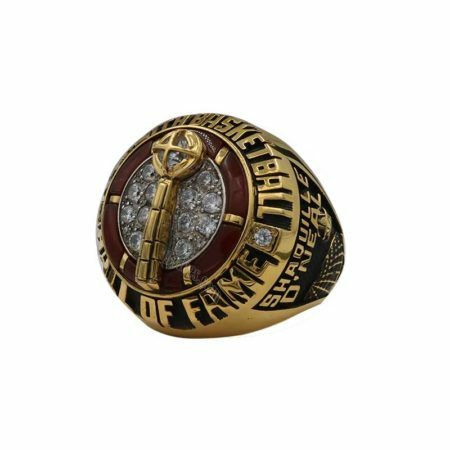 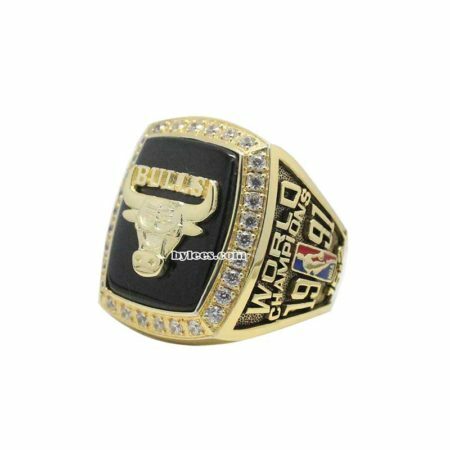 the version here is the replica of bryant 2000 championship ring, which was also an exact copy of the 2000 lakers championship ring that Kobe Bryant gave to his father.